The emblem of the eleventh sign is simple. It represents waves and was the Egyptian hieroglyphic for water. 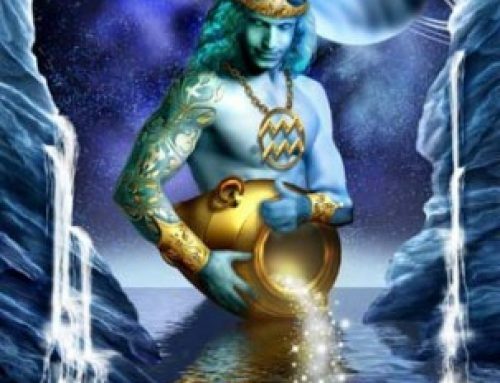 With all the obvious references to liquid (” Aquarius” itself is derived from the Latin aqua = water), how is it that the Water-Bearer is an airy sign? In order to answer this question, we have to probe into the more esoteric significance of this symbol. 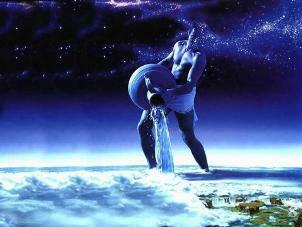 In the first place, the water which the Man distributes from his Urn is the water of consciousness. It is the understanding that all men are brothers, a concept which can be understood intellectually but only “seen” intuitively. 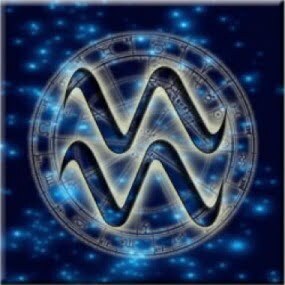 It is the power of the intuitive aspect of mind which is embodied by Aquarius. 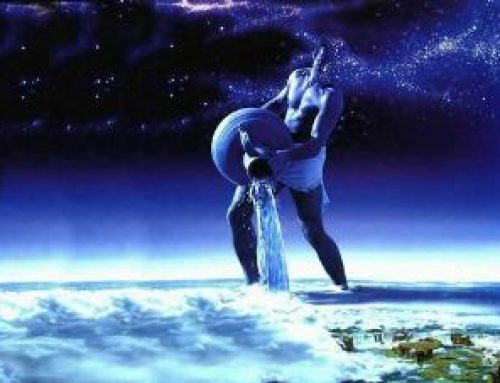 Aquarius is Man perfected by this understanding of the oneness of Mankind. He can then use his rational, communicative faculties, such as speech and writing, to broadcast this message to others. The water is alive and pregnant with ideas which can be useful to humanity. It is easily understandable that the eleventh is the sign of inventors, scientists, occultists, social workers, political reformers, and revolutionaries. The glyph does not represent a still pool, it depicts the waves rippling over the water, it is the winds which cause the waves and is therefore suggestive of locomotion. 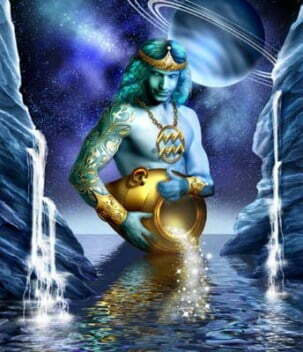 This indicates that Aquarius is the disseminator of knowledge, the teacher, the inspirational visionary. The two undulating lines, on the physical plane, stand for the motion of the ankles, the part of the body ruled by this sign. On another, symbolic level, the two lines are the serpents of wisdom. The one above is the intuitional mind, which reflects great concepts onto the rational serpent below. Together these two sacred reptiles are matchless in the great feats of mind they can accomplish. In ancient days there were only three ways to send out information to other countries: by courier, who had to travel either on his own two feet; on the backs of animals; or over the seas by boat. The eleventh zodiacal glyph illustrates these three motions. 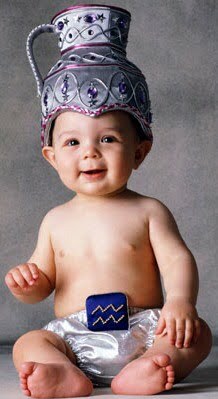 Another, fourth way to communicate, then and now, is telepathically, through the brain waves. Scientists have recently discovered that the human brain receives and sends messages via electrical charges. 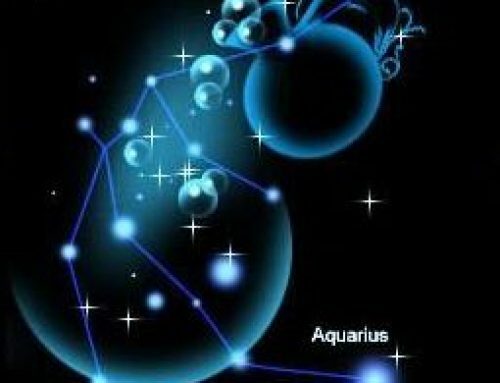 We therefore attribute all telepathic communication and ESP phenomena to Aquarius’ and its ruler, Uranus. Thus the design of the Aquarian symbol is still valid, for it also represents all communication functioning through air waves and electrical impulses. Aquarius is associated with satellite communication, radio, telegraph, telephone., television, and all of the allied, technical professions of the above.’ It then becomes clear that under the general heading of “communication,” i.e., the functions of the airy signs, Gemini rules short-distance messages; Libra, personal interchanges; and as for Aquarius-the sky’s the limit! Let us return to Earth and point out another correspondence between the eleventh sign and Man’s body. 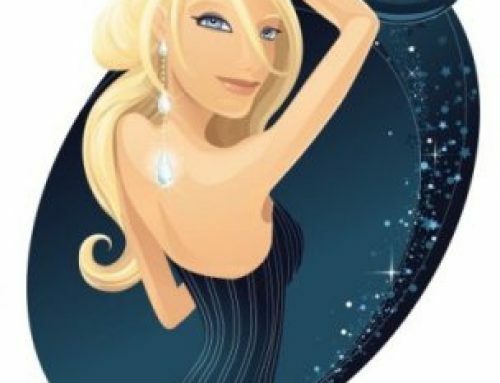 Leo, the polar opposite of Aquarius, rules the heart. 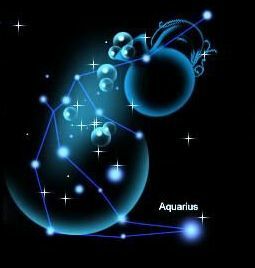 Aquarius, however, governs the circulatory system, that network of arteries, veins, and minute capillaries which makes sure that each of one’s billions of cells receives the heart’s red water of life.